Still missing its semi-classified payload, Falcon 9 fired up its nine first stage engines at 20:30 UTC on Thursday to gather performance data as part of a final end-to-end test of the integrated launch system prior to launch day – designed to uncover any issues and eliminate any surprises on launch day. 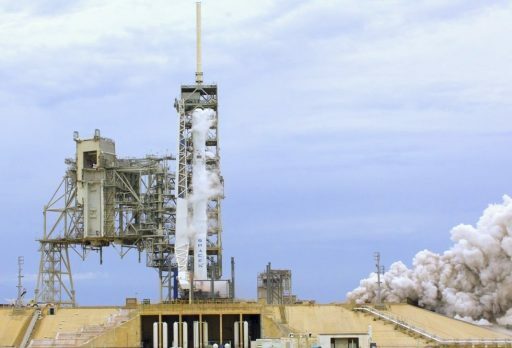 Completing the hold-down fire test, Falcon 9 will return to its hangar at LC-39A to await the arrival of the X-37B that was readied for flight at Orbiter Processing Facility 1 which had been taken over by X-37B prime contractor Boeing after the Space Shuttle sailed into retirement. The OTV-5 mission is the first flight of the X-37B to launch on a Falcon 9 rocket after the first four flights of the program lifted off on Atlas V rockets. 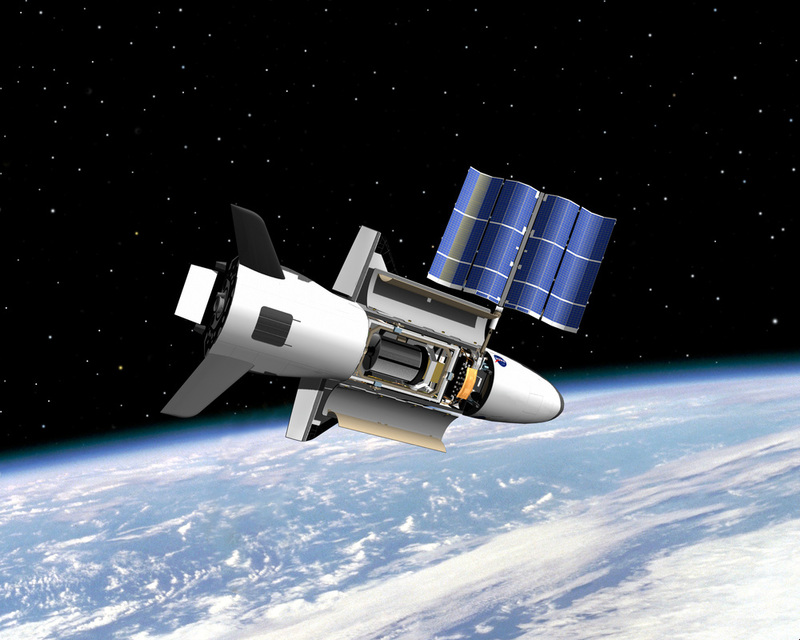 X-37B made its debut in April 2010 on a shakedown mission lasting 224 days and ending with the first autonomous runway landing by an American orbital vehicle. The second flight of the X-37B already surpassed the 270-day design requirement for mission duration and lasted 468 days in 2011/12. The 674-day OTV-3 mission was the second flight of the first X-37B craft after undergoing refurbishment and OTV-4 marked the second deployment of the second production vehicle, launching in May 2015 and staying in orbit for 718 days, bringing the program’s total to 2,085 days off the planet. As with the previous X-37B flights, only very few details on the OTV-5 mission are being shared with the public and most of what resides in the vehicle’s 2.1 by 1.2-meter payload bay will remain secret. According to the U.S. Air Force, the OTV-5 mission carries small satellite ride shares and one of the experiments facilitated in the payload bay is the Advanced Structurally Embedded Thermal Spreader II payload of the Air Force Research Laboratory that sets out to test experimental electronics and oscillating heat pipe technology over an extended period in a flight-like environment. Other experiments aboard the craft are space technology demonstrators and host platforms for experimental payloads. The Air Force also shared that the OTV-5 mission will be targeting a higher orbital inclination than its predecessors to “further expand the X-37B’s orbital envelope.” The previous four missions flew at inclinations between 38 and 43.5 degrees with widely varying altitudes including rather large orbital changes during individual missions. No target orbit altitude for the OTV-5 mission will be published prior to launch and it will be up to the amateur satellite tracking community to spot the vehicle in its classified orbit and keep track of any orbital maneuvering over the course of the mission. 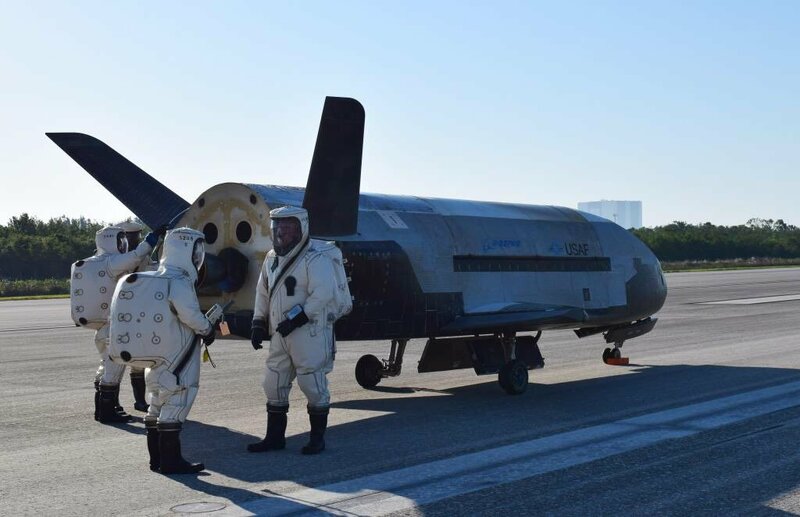 It was only announced in June that the X-37B OTV-5 mission would be flying on a SpaceX rocket when Air Force Secretary Heather Wilson revealed the previously unannounced launch contract during a Senate Armed Services Committee hearing. 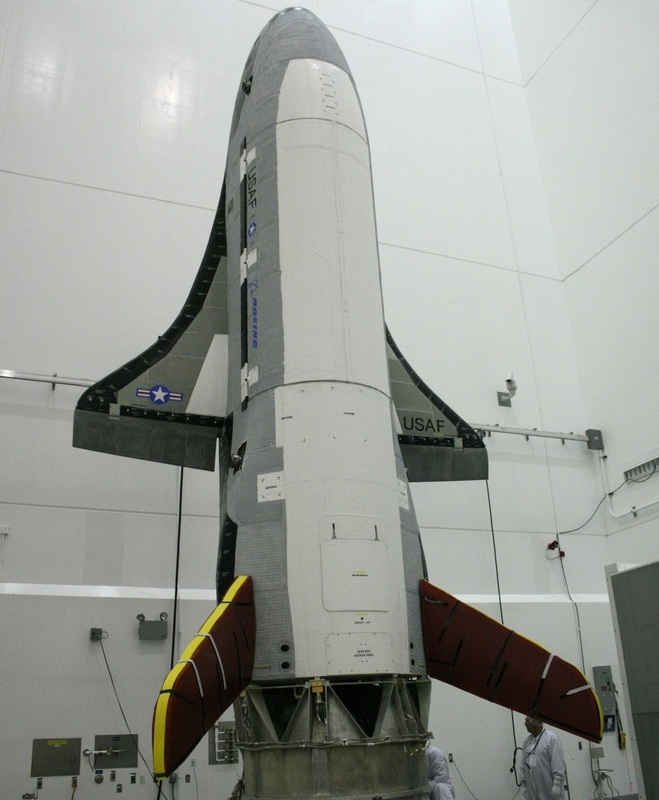 The primary reason behind the switch from the Atlas V is to have two proven launch vehicles for the X-37B to ensure the vehicle can fly whenever needed, even if one of its launch providers encountered trouble such as extended stand-downs in launch operations. The contract is also the result of an effort by the Air Force to grow the capabilities of the commercial space industry. SpaceX received U.S. Air Force certification for U.S. National Security launches in 2015 and since then has won contracts for launches of next-generation Global Positioning System navigation satellites. 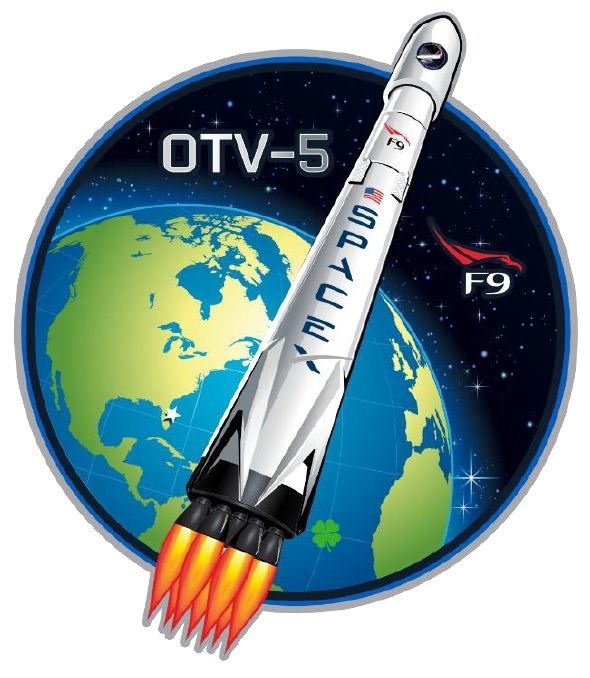 The OTV-5 mission was not awarded under competitive bidding between United Launch Alliance and SpaceX, though future X-37B missions could be up to competition if SpaceX is able to fully demonstrate its capabilities on the OTV-5 mission via a safe & on-schedule launch processing campaign and an on-target orbital delivery. This latest SpaceX launch campaign is coming right on the heels of the successful launch of the Taiwanese FormoSat-5 Earth Observation Satellite out of California on August 24. FormoSat-5 was SpaceX’s twelfth successful orbital delivery in 2017 that has already been a record-setting year for the company, finally achieving a steady launch cadence while also pushing on with first stage recoveries, the initial re-flights of boosters and continued efforts on fairing re-use. The X-37B OTV-5 launch will be handled by a brand new Falcon 9 Block 4 launch vehicle, initially powered by booster B1040 that will be aiming for a powered return to Cape Canaveral while the rocket’s second stage executes the orbital injection with orbital parameters being kept under wraps as is standard procedure for the semi-secret flights of the X-37B. The two-stage Falcon 9 tasked with the OTV-5 mission was rolled up the ramp to Launch Complex 39A in the morning hours on Thursday and went vertical for a Static Fire during a lengthy six-hour test window opening at noon local time. 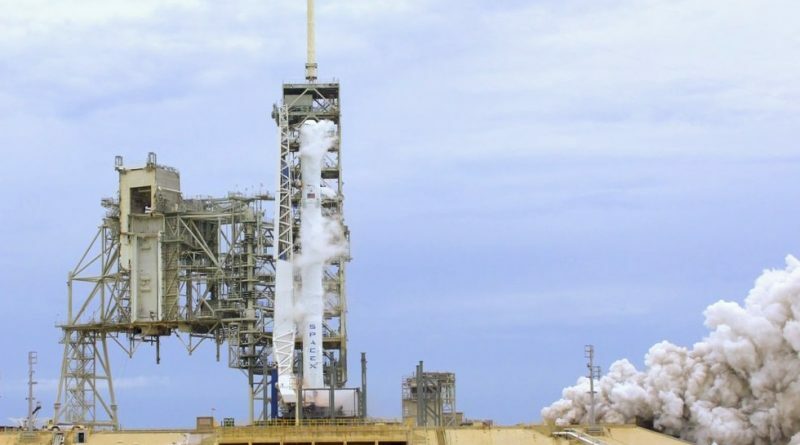 As is typical, schedules were adjusted as work progressed throughout the day and SpaceX opted to move the T-0 time into the second half of the long test window to accommodate open work at the pad. Falcon 9 headed into tanking as the automatic countdown sequence kicked in at T-1 hour to pump over 500 metric tons of sub-cooled Liquid Oxygen and chilled Rocket Propellant 1 into the rocket’s tanks. As part of the Static Fire Test, both stages of Falcon 9 go through a full tanking cycle as a complete exercise of the rocket and ground support systems. Ignition of the nine Merlin 1D engines occurred at 4:30 p.m. local time and the firing appeared to achieve the planned 3.5-second duration to allow all engines to build up thrust and reach operational conditions. The Launch Team verified all required performance parameters were captured before moving the vehicle into de-tanking to eventually return to the hangar where it will meet its payload. 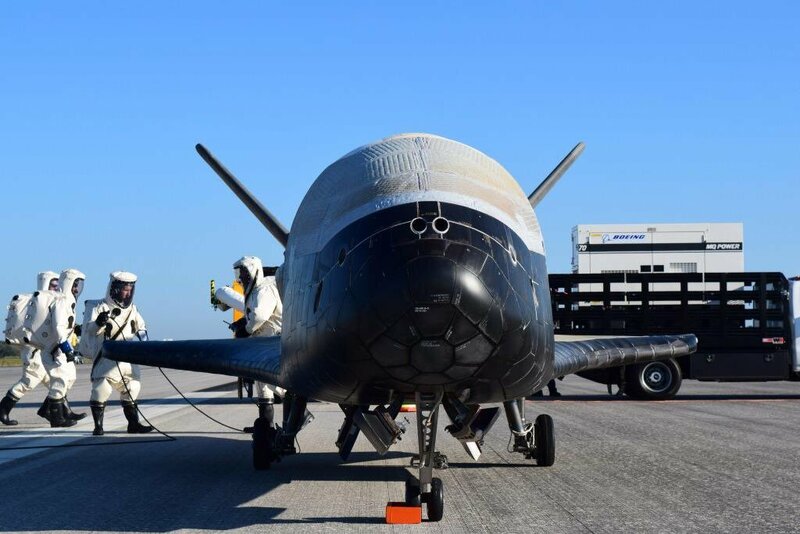 KSC schedules showed the X-37B payload transport would occur in the overnight hours to Friday, giving teams plenty of margin in the launch flow. Liftoff is targeting the morning of September 7 (local time) with no exact launch time announced yet by the U.S. Air Force or SpaceX. Lifting the ~5,000-Kilogram X-37B into Low Earth Orbit creates a fairly straightforward mission for the Falcon 9 – comprising a first stage burn of around two and a half minutes followed by over six minutes on the MVac-powered second stage that will directly inject the stack into orbit. Per the semi-secret nature of the mission, coverage of the rocket’s climb to orbit will end at the point of Payload Fairing Separation. The B1040 first stage will be aiming for a propulsive return to the Space Coast via a three-burn return profile starting with a full boost back maneuver to reverse course and aim for the LZ-1 landing pad. 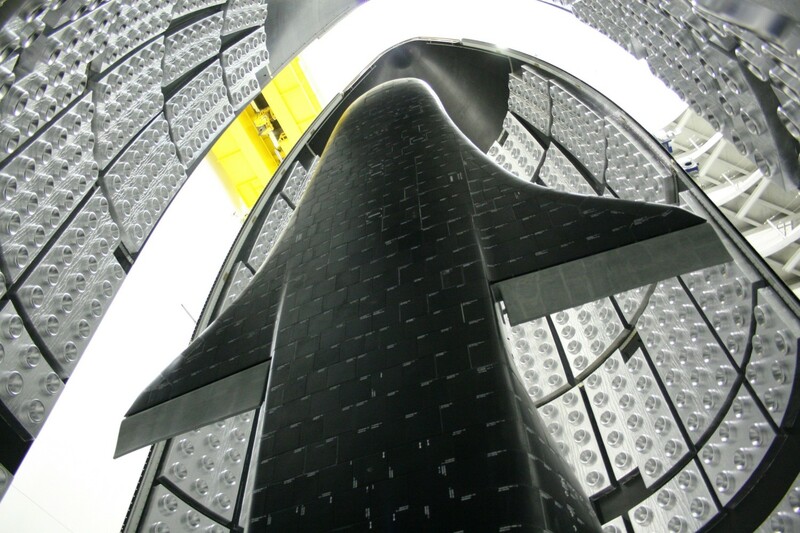 A burn at re-entry will slow the stage to reduce wear and tear due to heating and aerodynamic forces and a final landing burn of the booster’s center engine will aim to set it down on four fold-out landing legs. A successful landing of the first stage at the Cape’s Landing Zone-1 would give SpaceX a streak of twelve successful recoveries in a row – the latest of which is currently in full swing at the Port of Los Angeles where the FormoSat-5 booster arrived earlier this week standing atop the Autonomous Spaceport Drone Ship.